Hello and welcome to our autumn update. 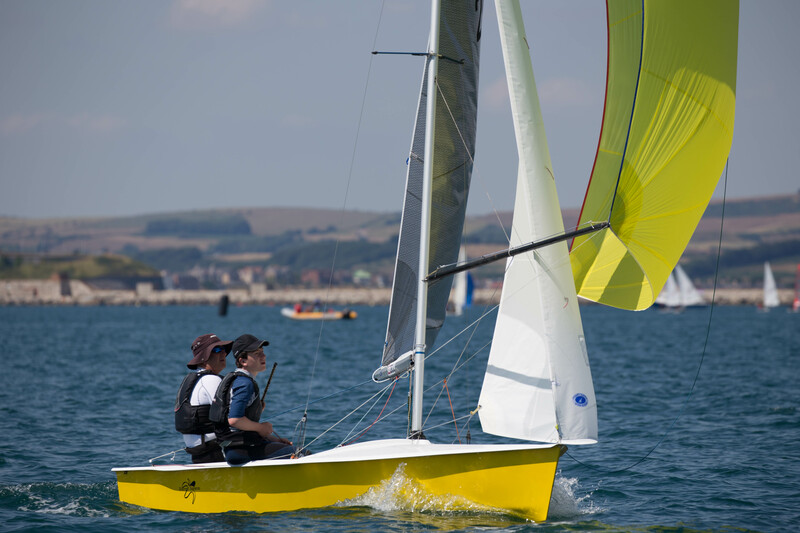 We hope that you had a successful season and have enjoyed some great sailing whatever your passion. 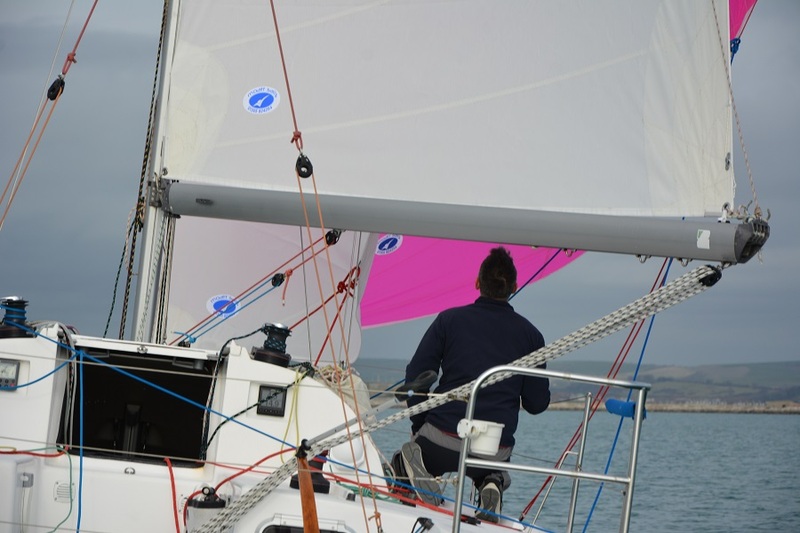 Over the season Moatt sails have proven themselves on the race course, offshore and on extended cruises. We are able to offer a wide range of sails so if you visited the Southampton boat show this Autumn and, are considering purchasing new sails please bear us in mind. We would be very happy to quote and will match any similar quote. Autumn is upon us and the weather outside is an indication that winter is approaching. Yachts will soon be coming out of the water to be fettled and cared for. Your sails will benefit from some tender loving care too. During a busy year on the water they will have been exposed to attack by ultra violet radiation, salt and abrasion from standing rigging. They will certainly benefit from a check over and launder. This year we will again be offering our full winter servicing package. This involves us sending your sails, canvas work and sailing apparel to a specialist laundry where they will be cleaned and returned to us. There are several extra treatments that can be applied from mould remover to reproofing or even a silicon treatment for spinnakers. Once returned we will inspect them and carry out any repairs required. After this we will store your sails until you need them again in April. Did you know we can also arrange for your wet weather clothing to be washed and reproofed? We can also offer storage for the winter period at competitive rates. Please call or email for more information. 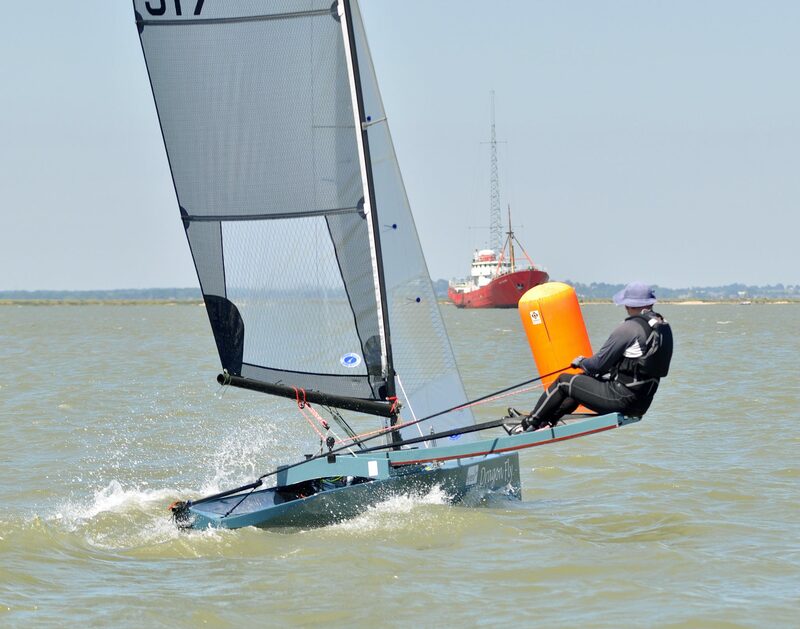 Moatt Sails customers have been competing in events all over the country this year with some great results. 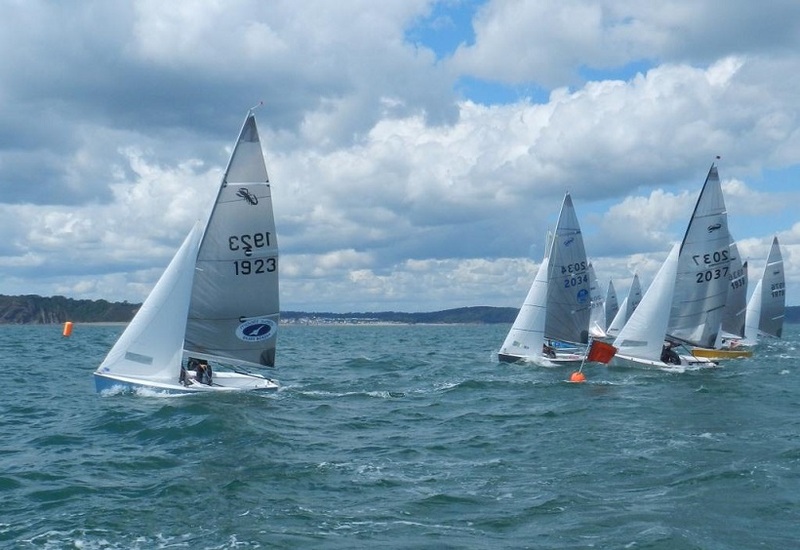 The Scorpions class at the Weymouth dinghy regatta was a closely fought event with John Mursell and Richard Bowers narrowly beating Jock and George Fellows. Mikey Robbins finished third overall to secure a Moatt Sails “Lockout” on the podium. 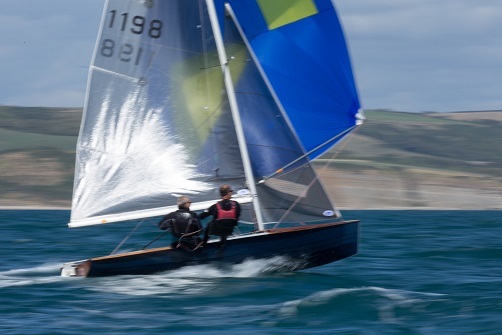 Later in the year at the Scorpion Nationals in Tenby, Sam Barker and Cara Jones were close to needing Securicor to bring home their haul of trophies. 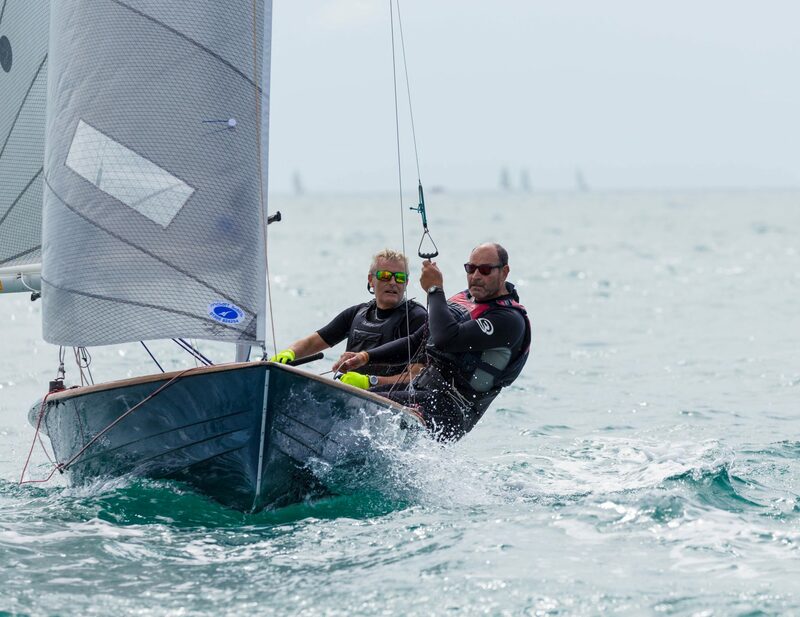 The Osprey Nationals saw Sam Barker and Mikey Greig finished second overall, just two points off first place. They had led the event at the halfway point and demonstrated impressive upwind speed throughout the event. Angus Hemmings and Adam Bowers, sailing Blue Moon, were also fast out of the blocks and led to the first weather mark for six out of nine races. Proving their speed upwind but possibly a lack of practice when it came to turning corners. They were certainly getting into their stride by the end of the event and won the last race in impressive style with other Moatt sails powered boats finishing second and third in that race. In the overall championship standings, Piers Strong and Phil Angrave were ever present to claim fourth place overall. In the International Canoes, Dave Timson made Moatt Sails history by being our first customer to win a race at the International Canoe National championship at Stone. Showing great speed Dave is using our Flex mainsail and boomed jib. To power his C12 Morrison 3. 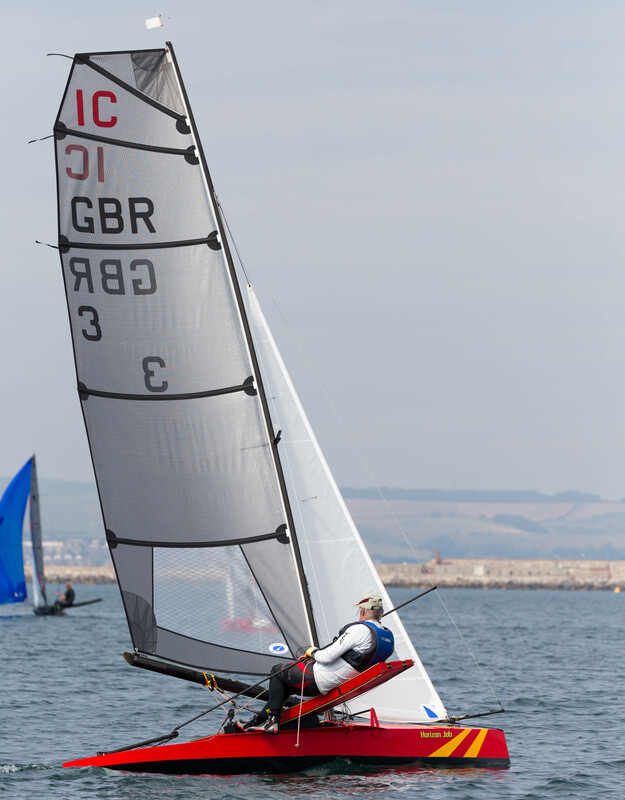 Alistair Warren also used one of our Flex mainsails but paired it with our battened jib variant for boats without a jib boom. Since the nationals we were really pleased to be trusted with making a new mainsail for John Ellis. Although he is currently using it on his current boat “Horizon Job”, it is intended for the new boat he is currently building. It’s been a busy year in the larger boats too …. 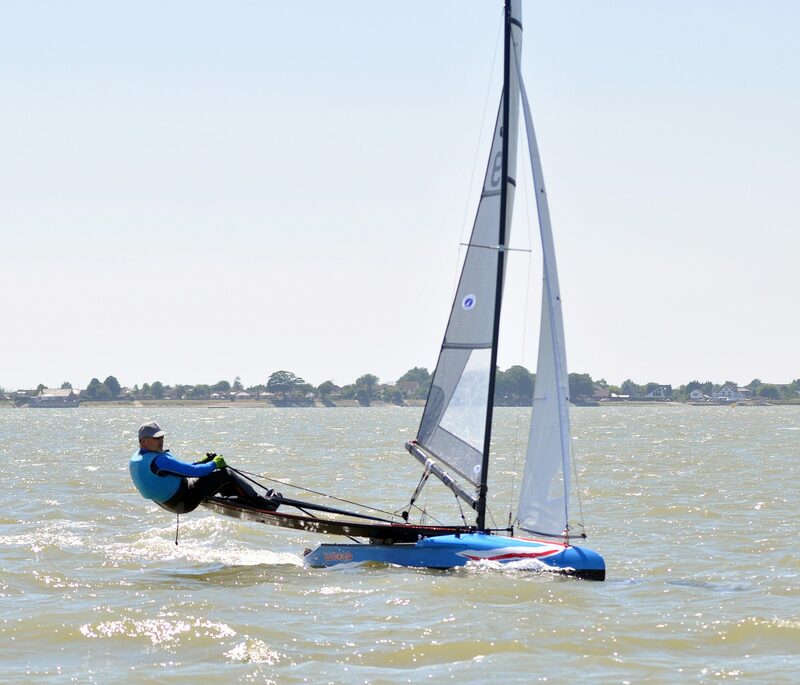 …with Chris Morton campaigning his Pogo 850 in the SORC (Solo Offshore Racing Club )series using a full suit of Moatt sails. 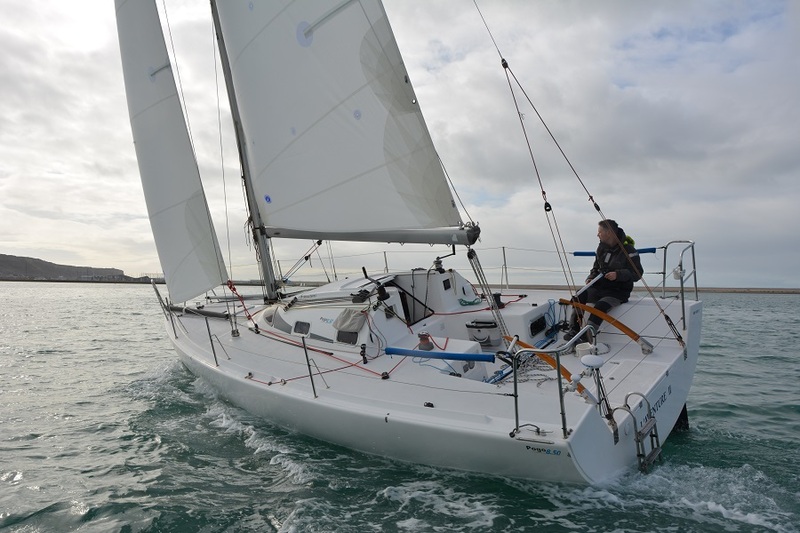 Chris’s results highlight was winning the IRC class 2 race from Cowes to St Peter Port. 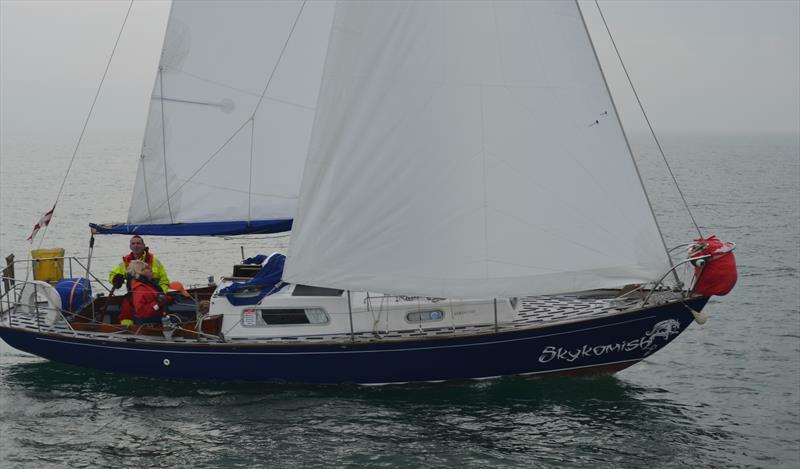 And demonstrating Moatt sails’ versatility, Bob Wheeler used his Moatt Mainsail and Genoa to great effect on his Elizabethan 29’ “Skykomish” to record 7 wins, 2 seconds and 2 thirds during the season. 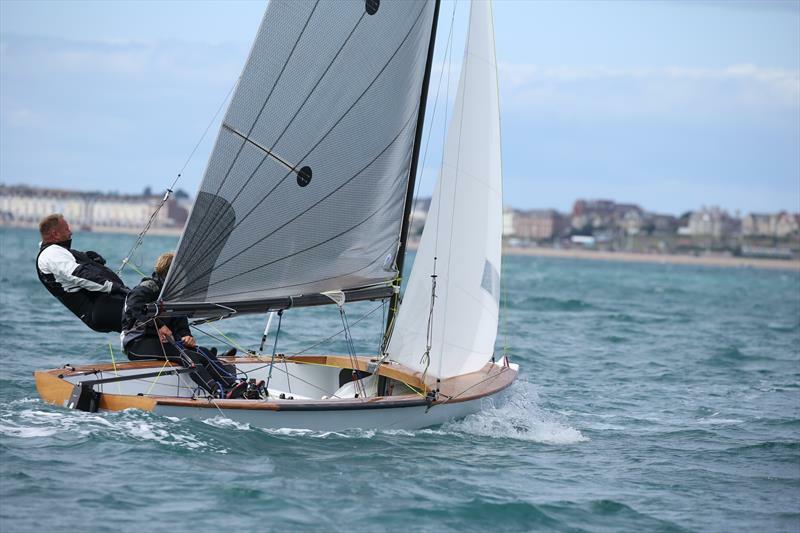 Closer to home, Nick Munson and crew sailed their Dehler 28’ “Kolibri” to victory in the Weymouth sailing club summer regatta . From 55 footers to Optimists, Moatt Sails have made sails that are tailored to perform. Unit 23, Navigator Park, Mereside, Osprey Quay, Portland, Dorset, DT5 1PY.